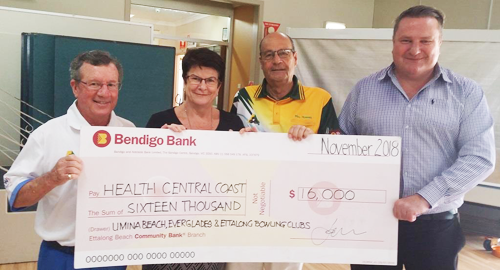 The Central Coast Peninsula Men's Bowls Clubs (Umina Beach, Everglades & Ettalong) each held their respective Prostate Cancer Charity events over the past two months. The collective amount raised was $16,000 (which was a record). This amount was presented to Central Coast Health yesterday (22/11/2018), at Club Umina. 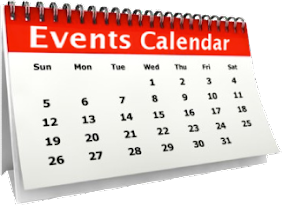 Congratulations and thank you to everyone that participated and contributed to these events, in aid of this very important cause. 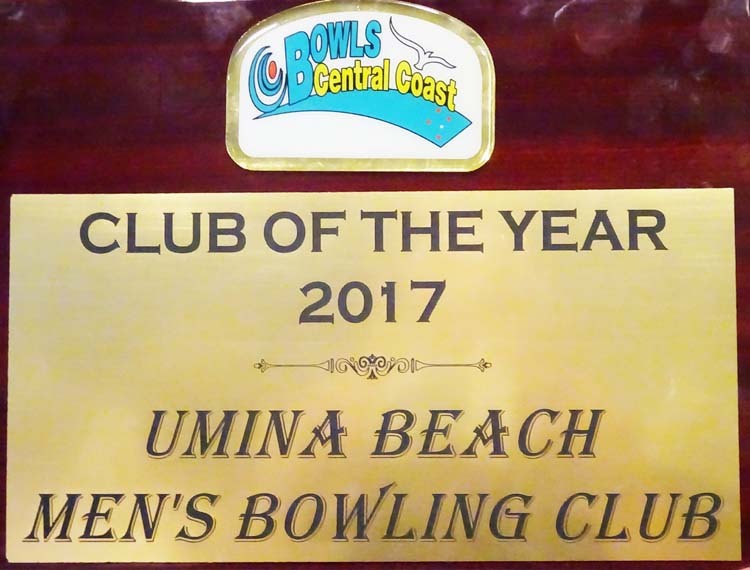 Many thanks once again to all the businesses that generously donated raffle prizes for the UBMBC event, especially Club Umina and Merrylands RSL. Representing their respective organisations (left to right below), Ian Jarratt (representing Umina Beach Men's Bowling Club), Jan Richens (representing Central Coast Health), Mal Hughes (representing Everglades Men's Bowling Club) and Tim McGavin (representing Ettalong Men's Bowling Club).